Austin’s cabdrivers waged a tough campaign to keep tight regulations on their competitors, the new ride-sharing apps. Competing with the two giants of the on-demand economy is a pretty tall order. So when stiffer regulations prompted Uber Inc. and Lyft Inc. to pull out of Austin, Texas, earlier in May, Kirill Evdakov took notice. Evdakov launched Boston-based Fasten Inc. last fall as a lower-cost competitor to the big smartphone car-hailing services. So far it’s been offered only in Boston, which Evdakov claims has “several thousand” drivers. Now Evdakov is about to make his first big move beyond Boston, when he sets up in Austin to take advantage of the hole left by Uber and Lyft, sensing a rare opportunity to attract riders and drivers without directly battling the industry’s largest competitors. In just three days, Evdakov said, Fasten has managed to sign up more than 1,000 drivers for its service. On Thursday, the company plans to hold a 10-hour driver signup event at a hotel in Austin to collect even more. And those regulations that Uber and Lyft fought so strenuously, which include mandatory fingerprint-based background checks of drivers? No sweat, Evdakov said. That vote was on Proposition 1, a ballot question that would have overturned several city regulations. 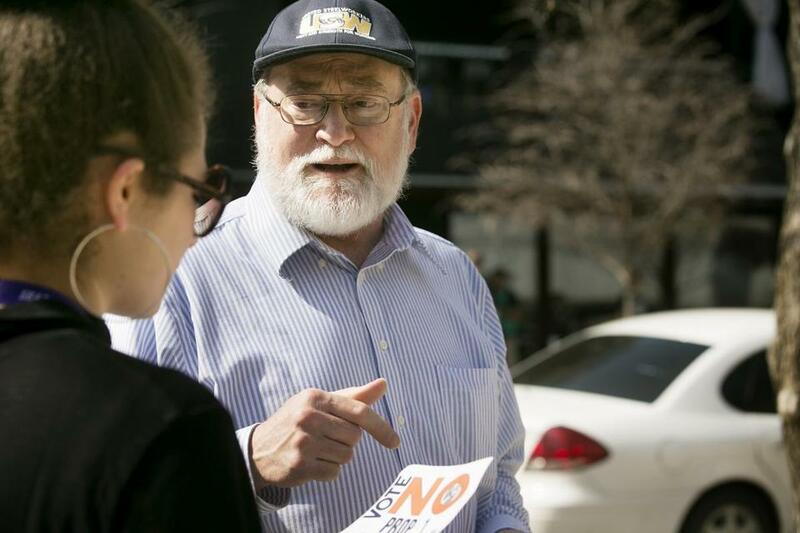 It was backed by Uber and Lyft, but rejected by Austin voters on May 7. The two companies promptly withdrew from the city, known for its progressive politics, music scene, and the South by Southwest music, film, and technology conference that attracts luminaries of the digital economy. That the void in Austin is being so quickly seized by upstart competitors highlights how quickly a new technology can go from a disruptive force to a target for copycats, said Aswath Damodaran, a professor at New York University’s Stern School of Business. Austin is just the latest in a string of sometimes nasty regulatory battles for Uber and Lyft. In Austin, Uber and Lyft spent more than more than $8 million on the ballot measure, according to an Austin American-Statesman analysis of campaign records. But voters rejected it by a 56 percent to 44 percent margin. Most contentious among the Austin rules was a requirement to fingerprint drivers for background checks, which would be run through an FBI database. Uber and Lyft prefer to use private background check providers, which they say are robust enough to ensure safety for riders but are faster and less onerous on drivers. However, the companies have agreed to fingerprint drivers in New York, where such checks are required for local licensing. Lyft left Houston after that city imposed fingerprint-based checks, and Uber recently said it would do the same if Houston officials didn’t change the rules. Massachusetts lawmakers are considering new regulations on the industry, including additional background checks and a ban on raising rates during emergencies. But a version approved by the House didn’t require fingerprinting drivers. Opponents of Uber and Lyft’s stance on fingerprint-based background checks said the rush of competitors into Austin showed that other options can fill the breach if the big companies flee stronger regulation. “Massachusetts companies could respond similarly, so the state has an improved bargaining position for its public-safety requirements, namely fingerprinting,” said Dave Sutton, a spokesman for the “Who’s Driving You?” campaign from the Taxicab, Limousine & Paratransit Association. Some of the smaller companies that have flocked to Austin offer a slightly different take on the ride-hailing model. Fasten’s sales pitch, already plastered on billboards around Boston, is that drivers make more money while riders pay lower fares. Fasten can do so because it charges drivers just $1 per ride, rather than the 20 percent or more Uber and Lyft charge drivers. Since it makes less per ride, Fasten needs to amass a huge pool of drivers to be viable. “We are the only company in the US that is actually interested in ridesharing becoming more affordable,” Evdakov said. Austin-area techies are also trying to fill the gap. After Uber and Lyft left the market, the chief executive of a local software company quickly announced his intent to launch a new service called Ride Austin, which would be structured as a nonprofit. The opportunity in Austin was large enough to send Christopher David aiming south. His company, Arcade City Inc., is developing a ride-hailing service with a peer-to-peer, libertarian streak: Drivers can set their own rates, and riders can pay for the service outside the app, for instance. When Uber and Lyft left town, Austinites flocked to Arcade City’s Austin Facebook page in search of an alternative. Some 25,000 people have signed up in the past 10 days, David said, posting requests for suddenly unemployed drivers to pick them up on street corners. And although Arcade City has previously said it wants to serve drivers who choose not to comply with government regulations, David said he expects to work with Austin city officials to observe local rules.